The single best way I can think of to prepare yourself for Burning Man is to get involved in some local or regional Burn activities. These can be Regional Burns, Decompressions, after-burns, pre-burns, Burnal Equinox parties or other activities organized by Burners near your location. 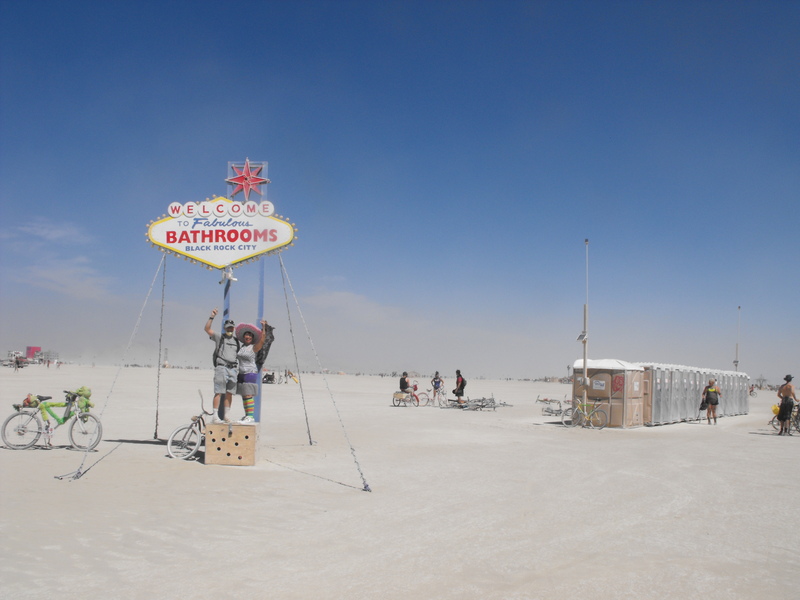 At these events, you’ll get to know fellow Burners, get your questions answered, and learn the ins and outs of the Burning Man experience. One of the most exciting of these opportunities to meet other Burners is participating in one of the CORE (Circle of Regional Effigies) projects, which will create art to be placed around the Man and burned on Thursday of the week of Burning Man. Last year’s CORE projects were highly successful and added substantial new art to the Playa. For 2013, the CORE projects have expanded to 24, and are far more international in scope. If one of these projects is taking place in your vicinity, find out what you can about participating. The skilled and the unskilled are needed to put these art installations together and get them to the Playa. Playa art at its finest — or at least its whimsy-est. Last summer, my wife and I were involved in the creation of the 2012 Sacramento CORE project, Arboreum, which was part of the original group of regional art installations. We didn’t do the heavy lifting – just some painting, cutting, hammering and toting – but it made us feel like part of the effort and helped us create some new Burner relationships. If one of the CORE projects listed above is taking place nearbt, you can do the same as we did, and join in the fun. Meanwhile, check the Jack Rabbit Speaks for regional parties or find some local Burners and get in the loop about local Burning Man activities.